Thurrock Diversity Network Limited is now on Facebook! Get the latest consultation, engagement and community updates from our Facebook page. Thurrock Diversity Network Limited is a local Community Benefit Society registered under the Co-operative and Community Benefit Societies Act 2014. We work alongside disabled adult residents of Thurrock, focussing upon equality, independent living & inclusive communities. Thurrock Diversity Network Limited works to promote the physical, emotional, mental well-being of the community, especially those who participate in the activities of the Society, and shall support, foster and promote the principles and practice of common ownership and co-operation in its own affairs and in society generally. 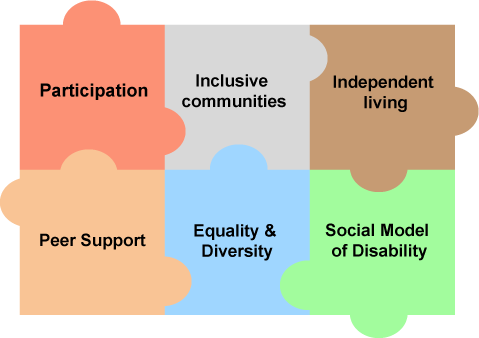 Thurrock Diversity Network Limited campaigns through User-Led consultation and co-production initiatives to shape & influence local and national policies and strategies affecting disabled people of all impairment types. work within and promote the Social Model of Disability.